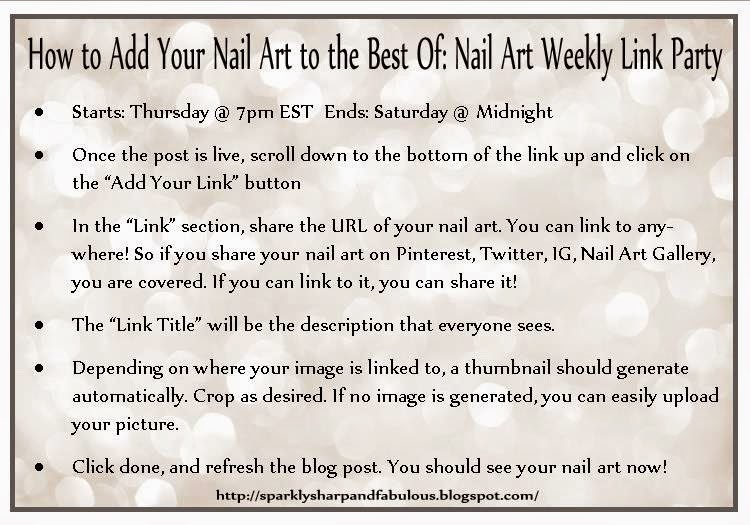 Actually, the post title should really read: “How To Share Your Nail Art In ANY Link Party On My Site” since this method works throughout all of my link ups and blog hops. But something tells me you are most interested in the weekly link party. And who can blame you? It’s starting to turn into quite a gallery of beauty each week as bloggers and nail artists from all over the globe share their favorite mani of the week with us. Now you don’t HAVE to be a blogger to share. You could just be a nail art enthusiast from IG just wanting another place to share your work. And that is totally cool. In fact, please do! Pretty simple right? Now you’re able to share your nail art! Make sure to set a reminder on your phone for Thursday’s at 7 PM so you can get your link in early! Looking for ANOTHER way to share your nail art with the world? I have a new site that is all things nail art called Random Nail Art. It’s like Pinterest + StumbleUpon + Nail Art on crack. Yeah, I said it, ’cause it totally is. Go check it out. Random Nail Art is 100% nail art shared by bloggers from around the world. 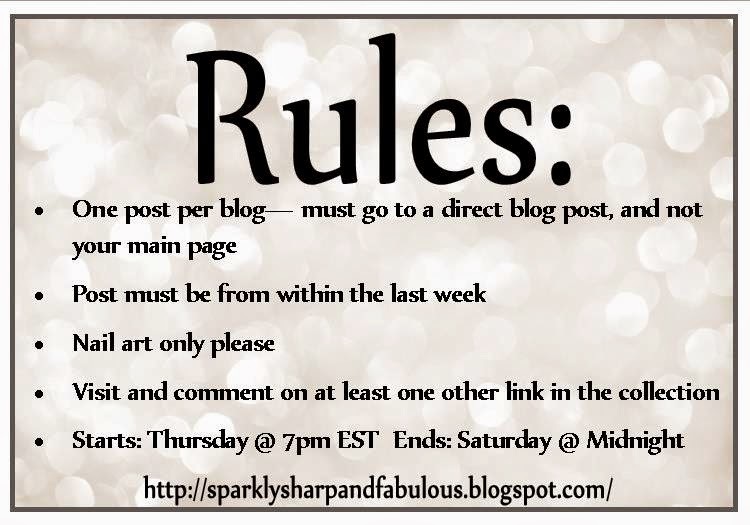 If you are a blogger and would like to have your nail art shared, feel free to send me an email at sparklysharpfabulous @ gmail . com and I’ll get you set up over there. Isn’t it? Even I find myself sitting at the computer for far too long marveling in the beauty of nail art. All languages, skill levels, and types of nail art is welcome here. So don’t be afraid if you are only into stamping, or 3 inch long competition grade acrylic nails. It’s all welcome! 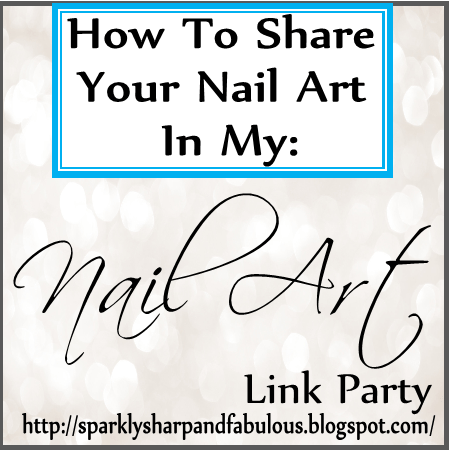 I hope this guide helps in the adding of your nail art to any of my link parties! I’m looking forward to seeing your nail art soon! Great post sharing and explaining them! Oh this is so cool! I am so excited!